Alma Claude Burton Cull was a portrayer of the ships and the work of the Royal Navy. He lived in Hampshire and after his death his widow put most of his oil paintings into storage in Portsmouth. These were unfortunately destroyed by enemy bombs during the Second World War. He exhibited between the years of 1906 and 1927, mainly at the Alpine Club Gallery but also at the Walker Art Gallery, the London Salon, the Royal Academy and the Royal Institute of Painters in Watercolours. 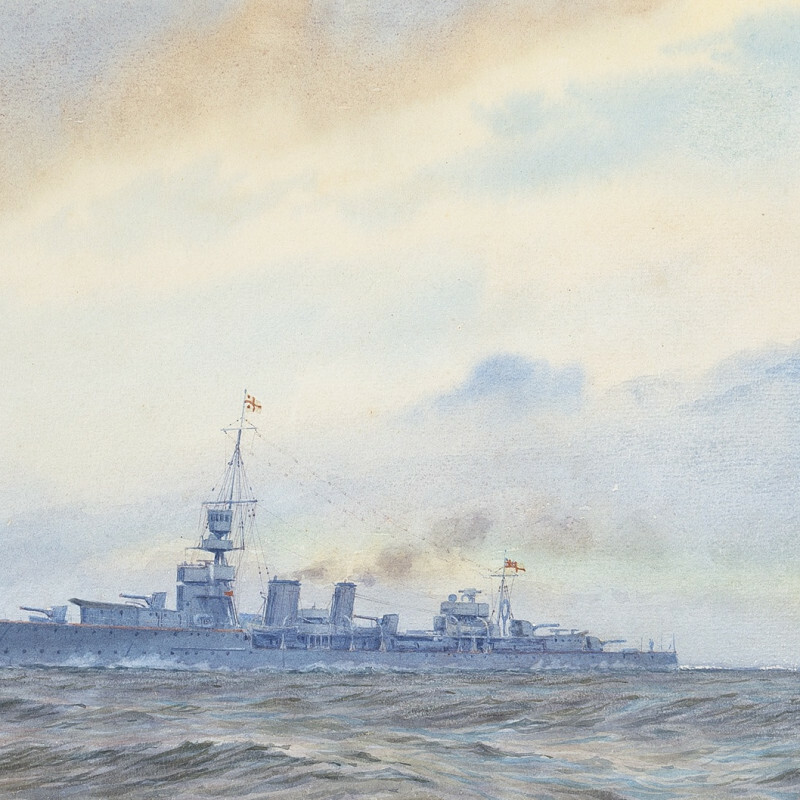 After his widows death in 1954, the National Maritime Museum purchased from her estate the remaining two oils, one of the eve of the Coronation Review of 1911 and the other of the First Battle Cruiser Squadron about 1914, as well as seventy watercolours. From another source the Museum holds an oil of King Edward VII class battleships at sea.